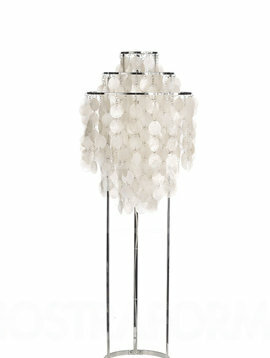 This Panton hanging lamp consists of natural materials such as mother-of-pearl shells. 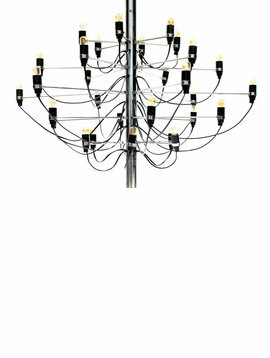 The lamp creates a beautiful sound & radiates warmth and cosiness in the room! 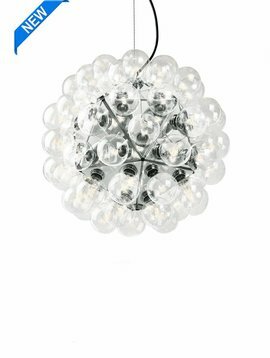 This FUN pendant lamp was designed by Verner Panton in 1964. 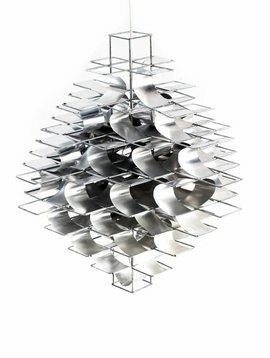 The lamp consists of mother-of-pearl shells that are connected to each other with stainless steel rings. 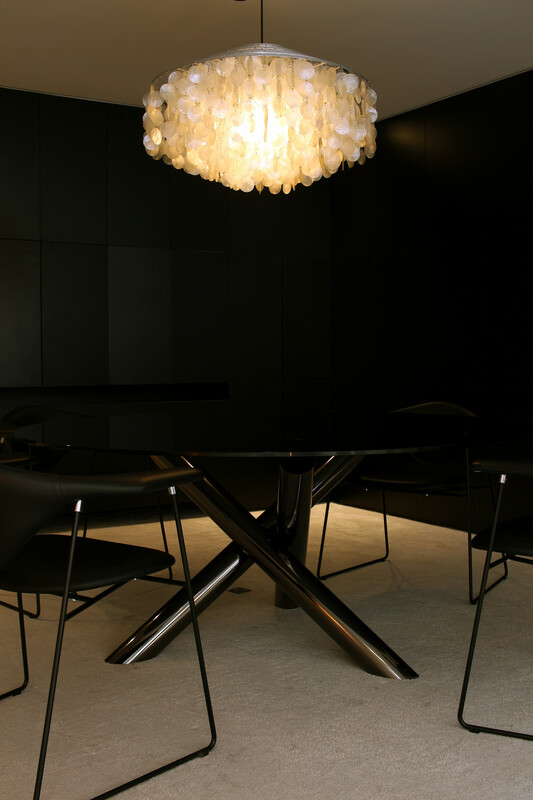 The lamp is signed at the top of "Verner Panton". The lamp creates the feeling of life and movement in the room as soon as there is a breeze or when ambient light falls on the mother-of-pearl. The mother-of-pearl shells that bump into each other produce a beautifully soft relaxing sound. 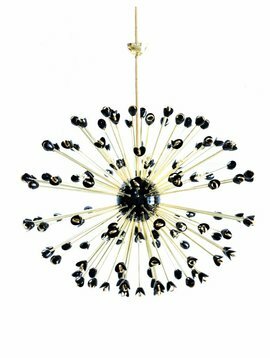 This chandelier is perfect for hanging above a table. 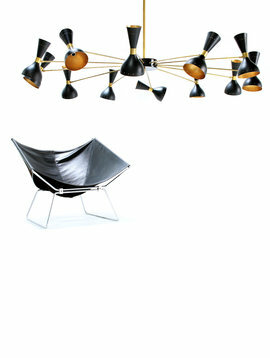 The lamp is considered to be one of Verner Panton's greatest masterpieces in lighting design. 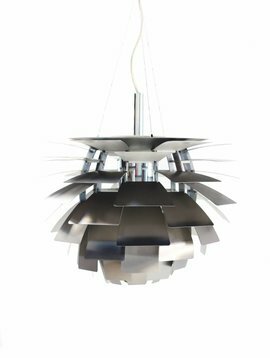 The intention of Verner Panton was to create a lamp that could be used as a light source as well as function sculpturally in the interior. 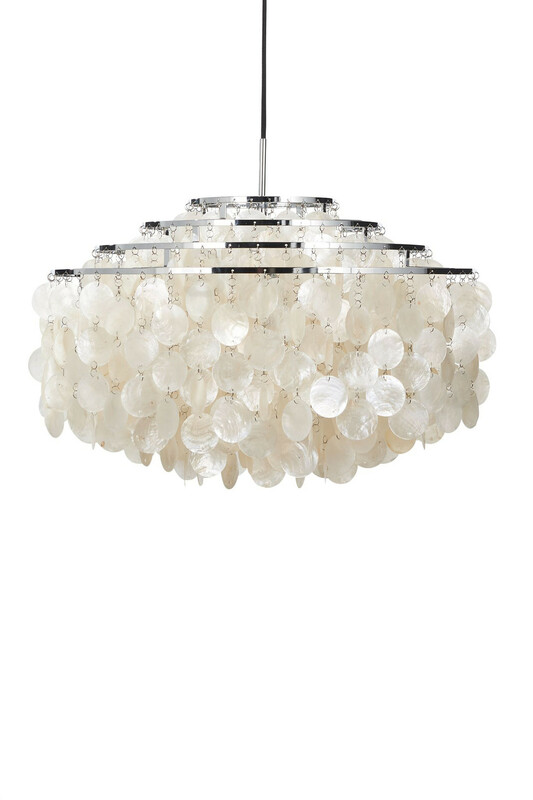 The combination of the chrome frame and the natural mother-of-pearl shells form a beautifully elegant whole and ensure that perfect warm and diffuse light.